A second stage of excavation has now been underway on the site since the summer, and last week the Museum of London archaeologists acting on behalf of the developers of Convoys Wharf stated on the MOL website that they had “unearthed the remains of Sayes Court, a building with rich historical associations”, and “identified the plan of Sayes Court, as modified in the course of its history”. Given these claims, those who attended the long-overdue site visit on Saturday hoping to actually see any evidence of Sayes Court will have been, as I was, very disappointed. Both of the trenches have been completely backfilled. Indeed, had a group of concerned visitors not spontaneously gathered on top of the nearby spoil heap to discuss Sayes Court after the end of the official tour, it would have received not a single mention. Why was no real opportunity given to the public to visit the site during the course of the actual excavation of the Manor House? I say “real” opportunity, because I’ve since found out that one lucky person somehow heard of a chance to visit, and got to see the exposed building, in the company of Lewisham’s Archaeology officer. Hardly a turn-out that reflects the level of concern and interest in the site. Sketch of Sayes Court Manor House by John Evelyn. 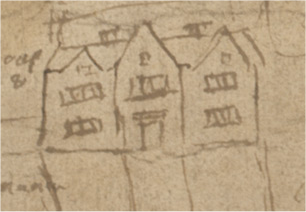 Take a look at this sketch by John Evelyn of the Manor house in the seventeenth century. This is the only known extant drawing of the original Sayes Court, and was added by him (sometime between 1698 and 1706) to a 1623 map of the dockyards and town of Deptford “Strond”. 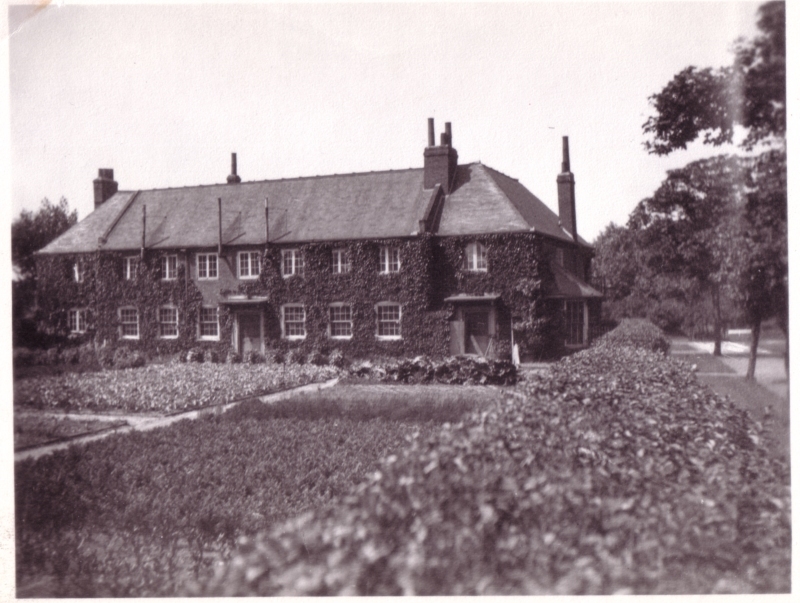 It shows the front of the Manor House, with three gables and a central entrance porch which we know from his writing Evelyn modified to include fashionable Doric columns. Detail from 1753 plan of Deptford Dockyard. 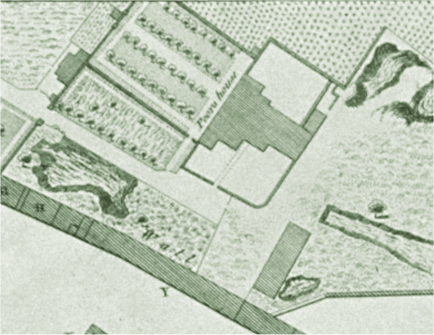 To the right is a detail from Thomas Milton’s 1753 plan of the dockyard, which fortuitously also includes the footprint of the manor house, proving that it must still have survived at that date, even though it was already being used as a poor house, as it was for almost a century afterwards. Now take a look at this etching and photograph of the building that succeeded Sayes Court Manor House, used as the Pension Office, and then in 1869 (after the dockyard closed and W J Evelyn managed to buy back the site), turned into almshouses. This is obviously quite a different building, with a plan much altered from that of the original Manor House. Most of the rear part of the house has vanished. It would have been great to have seen what archaeological evidence there may have been for the last stages of the manor house, but all there is now is an almighty spoil-heap.